With an aging Baby Boom population, there are an increasing number of joint replacement operations, particularly total knee replacements. When a knee is replaced, a surgeon cuts away damaged bone and cartilage from the thighbone, shinbone and kneecap. To replace it, the surgeon uses an artificial joint made of metal alloys, high-grade plastics and polymers. The Mayo Clinic says these procedures can reduce pain and restore function. But new research published in the British Medical Journal (BMJ) says these operations provide minimal relief and are usually "economically unattractive," meaning they aren't worth the cost. Researchers at Mount Sinai Medical Center suggest that's because many people who elect to have the total knee replacement surgery aren't the best candidates. If it were limited only to patients with severe osteoarthritis, that equation changes. “Given its limited effectiveness in individuals with less severely affected physical function, performance of total knee replacement in these patients seems to be economically unjustifiable,” said Bart Ferket, MD, PhD, lead author on the study. Ferket says there could be considerable cost savings if only patients with severe symptoms had the operation. He said there are less expensive, more conservative options that doctors should suggest to their patients with less severe symptoms. Osteoarthritis of the knee affects some 12% of U.S. adults, particularly those age 50 and up. Wear and tear on the knee, and Americans' increasing weight problem, has contributed to a doubling of knee replacement surgeries since 2000. The researchers say there are now more than 640,000 of these operations performed each year, at an annual cost of around $10.2 billion. 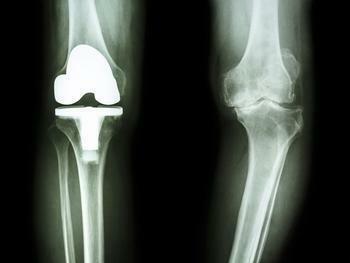 According to Healthline, the average cost of a total knee replacement surgery in the U.S. is $49,000. Perhaps one reason for the rising number of these operations is the increasing number of Baby Boomers now on Medicare. The Center for Medicare and Medicaid covers knee and hip replacements, and they are among the most common surgeries it pays for. The Mount Sinai researchers concluded that in terms of cost-effectiveness, the current protocol is more expensive and less effective than it would be if it were limited to those patients in severe pain.